I've got three AWESOME new South Beach diet-approved recipes in my wheelhouse. I tried all of these for the first time last night. Three new recipes at once stresses me out bigtime, but I loved them all and will definitely be adding them to my permanent repertoire. Giada de Laurentiis' recipe here. 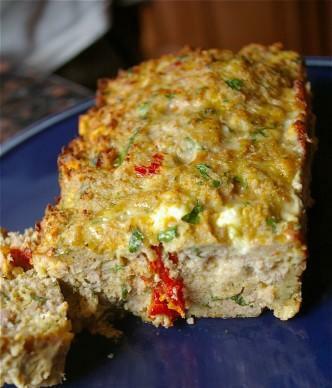 I've made turkey meatloaf before, but this was worlds better. "Stuffing" the middle with cheese and veggies was a GIANT improvement. I lightened it up by using fat-free feta and skim milk. I spiced the crap out of it with Herbs de Provence. Next time I would add onions to the center for some textures, but this is definitely a new go-to. Recipe here. This was a super good one. I likely will leave out the soy sauce next time and double up on the balsamic vinegar. I make asparagus and avacado dishes often, but never thought to put them together....delish. Recipe here. 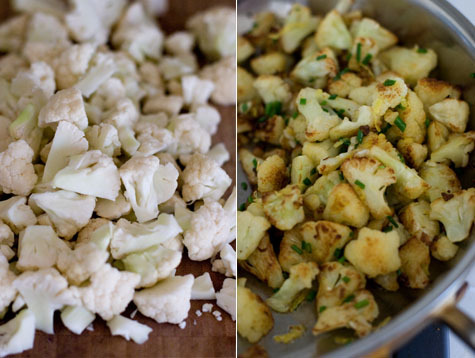 Substituting cauliflower for a carb item is an old South Beach trick, but I'd never seen it done this easily. You just chop those little babies, cook them up in the skillet and spice a bit. I wold make them spicier, and possibly toss in broccoli next time, but this was easy and tasty. The recipe estimated it would take only 6 minutes in the pan, but it took more than double that for me, just FYI. My gypsy life hasn't afforded me the luxury of a kitchen in a couple of weeks, which is A LONG time for me to go without preparing any kind of food item, and it felt great! I forgot how much it soothes me to be standing over a stove. Is that anti-feminist? I don't know if I care. I can always use new recipes that incorporate lots of veggies...Yum! Thanks for sharing! its great to seem this recipe. Have I ever told you what a badass Adele is? Target Tuesday - I'm gettin' ripped. Did you have a 90's childhood? Hello, Summer! I'm glad you're here. BACHELORETTE BASH, here I come! FULL Breaking Dawn trailer is here!